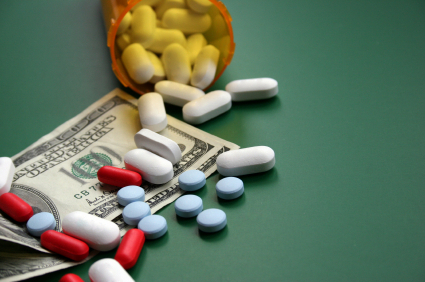 FDA “Negotiating” to Get More Money from Big Pharma—Again! Increasingly Pharma is funding the FDA. No wonder the agency seems to dance to their tune. The Prescription Drug User Fee Act (PDUFA) authorizes the FDA to collect fees from companies, allegedly to fund and expedite the drug approval process, but really to pay the agency’s bills. Under this authority, pharmaceutical companies pay fees for certain new human drug applications, biologics applications, and supplements submitted to the agency for review—and the FDA’s review of an application cannot begin until the fee has been submitted. The law was enacted in 1992, and Congress needs to renew it every ten years; the next deadline for renewal is September 2012. To make this happen, the FDA has been performing its usual ritual of begging and blustering at the same time. The FDA has been discussing a raise in the FDA “user” fees with industry since July 2010; in fact, Big Pharma had already agreed to a 6% increase in fees for new drugs through 2017. The increase is expected to produce an additional $40.4 million in user fee revenue in fiscal 2012, bringing the fiscal 2013 total to $712.8 million. But FDA still hasn’t arrived at a deal with companies on user fees for medical devices—the FDA made a proposal, but industry rejected it, so the negotiations continue. According to the FDA itself, drug companies provide fully 60% of the FDA’s drug review costs—which means that the FDA’s review and regulation of pharmaceutical drugs is largely funded by the very drug companies under review! Could this brand of crony capitalism be part of the reason why the FDA is apparently so biased against supplements, which it regards as competition for drugs? Or why the drugs the FDA approves are so dangerous that, as we reported last year, they kill 50,000 Americans and send more than 700,000 more to emergency rooms each year? PDUFA is what is known as a “must-pass” bill. Such bills become vehicles for other, smaller bills looking to slide through unnoticed as riders. We will keep a close watch on that—as well as on the FDA’s so-called negotiations with its friends in the pharmaceutical industry.